What will a SSLC student do on the day of the results, mainly pray to the almighty or get glued to the Internet to know the results. Each one is very anxious to see what fruits they have reaped after studying the entire year. But here is the story of Manthan Anil Kanbarkar, who was really unaware of the results being declared and he was as per his schedule working at a shop at the whole sale vegetable market. The teachers of his Maratha Mandal Central high school came searching for him to his house then the market to find him busy in his work. 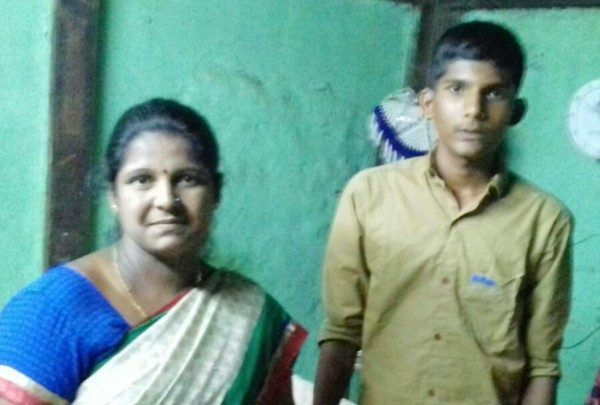 The teachers said you have done it, you have scored 97% marks in SSLC and took him away to his home where he was felicitated for the wonderful result. He secured 117 in Marathi, 99 in English, 95 in Kannada, 96 in Maths, 97 in Science and 96 in Social studies. His mother is a Anganwadi worker and his father expired a few years ago. So to help his mother he also started to work and help the family. His elder brother also goes for work. Manthan’s sister has also passed SSLC with 76% marks and she too is very happy with her results. When in 7th standard he worked on his own saved money and took admission to the Maratha Mandal Central high school. His teachers say he is very hard working and his ability to work as well as learn is amazing. Even now after the results he is back to work. Great things starts from hard work. You are the one who make to feel proud. Congratulations young boy and future of India ??? to contact the NGO – Prerana (Supported by Infosys foundation). Comment:Thats really amazing congrats anil! That’s the fruit of hardworking! Well done young boy. Congratulations. Definately an inspiration for others to study. To begin with At least Maratha Mandal should give him free admission in any of their colleges. In what ever subject he is interested in as they have plenty of colleges. Wow. Amazing. What an inspiration?